The game will be making its way over to the PlayStation 4 and Xbox One sometime this year, though it will not have quite the same number of features as its PC cousins. 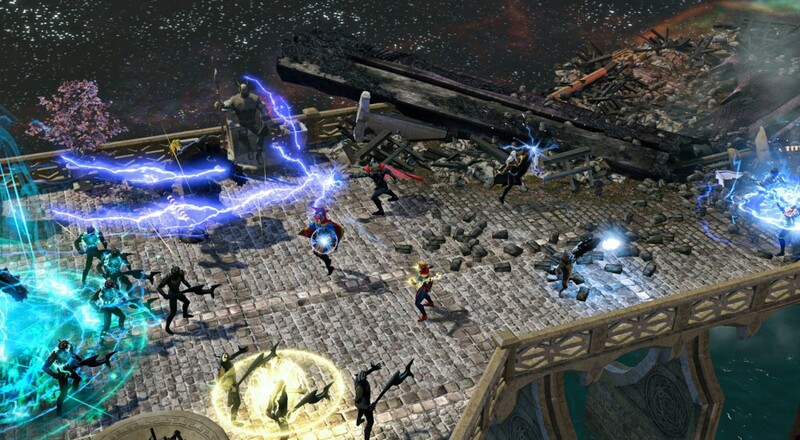 Instead of the current roster of 62 playable heroes, Marvel Heroes Omega will only have 38. The story will only span chapters one through nine (PC goes to 10), there will be only one challenge/patrol area (Midtown), the (somewhat) recently added Danger Room will be available, but neither of the two raids will be part of the title at launch. There is a lot of content within the PC version of the game, so it makes sense that not everything will be dropped in there right away and lead to a completely broken mess. Gaz does plan on adding to the console versions along the way, which makes sense as the PC version doesn't entirely resemble the game that it was when it launched back in 2013. What's disappointing, though, is that current PC players will have no option to import or transfer over their existing content to the consoles as a result of the different versions. Perhaps one day the stars and planets will align to let that happen, but for now, PC is PC and consoles are consoles. There will be a closed beta period for the game on both the PlayStation 4 and Xbox One, though it sounds like the way you gain access is to buy a "Founder's Pack" (which isn't an uncommon thing for free-to-play games on the consoles). Details about that and other FAQs can be found over in the Gazillion forums. For now, there's no firm release date for the game or even indication of when the closed beta will become available, though it sounds like there will be more information "soon."